Buying a new vehicle is like an adventure. At the end of a long, perilous journey, you have the promise of your dream vehicle as a reward. To get to the end, however, you have to face many challenges and obstacles that threaten to derail you along the way. This may seem like a bit of hyperbole, but for many people, trying to purchase a new or used car can seem just as difficult as any hero making it through their epic journey. That is, unless, you have the right guide. Just like every hero needs their own support along the way, buying a new vehicle can be a lot easier if you have the right dealership in your corner. Visiting a dealership is more than just seeing what they have in stock. With the right dealership, you can make the entire process more straightforward with less frustration than usual. This is because good dealerships like Carl Black know exactly how to help you navigate the complexities of the car buying process. That is why you should expect quality customer service any time you come onto our lot looking for a new or used vehicle. In fact, you can look forward to an epic journey of your own that will be free of the confusion that often comes with the usual journey. That is because we take every step we can to help you explore your options for new and used vehicles, check out your financing options, and much more. When you visit our Chevrolet dealer here is a taste of what you will experience. The car buying process may start long before you actually come onto our lot in person. Perhaps you do your own research to see what is available from various brands like Chevy or on the used market. You may even sit down and create a list of everything you’re looking for in that next vehicle. Eventually, however, you’ll reach a point where you have to come down to a dealership to begin the formal process of finding and buying that dream car or truck. That is where a Chevy dealership like Carl Black comes into play. Why Chevy? While there are plenty of brands to choose from, none of them have the same specific quality that a Chevy vehicle has. From our cars, trucks, and SUVs, all Chevy vehicles are built with the same high level of design and construction standards that ensure each vehicle we sell will be top-notch. More than that, as a Chevy dealership, Carl Black makes it an extra priority to give you more quality service than our competitors. Since we know you have your choice of a variety of dealerships, we like to do everything we can to keep you coming back time and time again as a happy customer. From the moment you enter our doors, you’ll be greeted with a smile from one of our dedicated service staff. Right from the start, they will help you determine what type of vehicle to consider. If you know exactly the model you’re interested in, they will cut straight to looking up the availability of that model in our inventory. Once they find a few good candidates to check out, you will be able to see each model in person and even take some for a test drive if you wish. If you don’t know what you’re looking for, a salesperson will sit down with you to see what kind of needs and wants you have out of your next vehicle. From there, they will be able to narrow down the list of possible models that will have a better chance of fitting you like a glove. You will then be able to decide what models to check out before moving on to seeing each one in person with the potential test drive. Finally, if you’re interested in a used vehicle, Carl Black can help you there as well. We have a healthy supply of used and certified pre-owned vehicles from Chevy and other brands. You can check out this inventory anytime you want online or come down to the dealership for in-person assistance to see which used options might be right for you. Regardless of what type of vehicle you’re looking for, our approach, from the moment you enter our doors, is the same: give you the help you need right from the start. Once you have taken the time to explore all of your different options, check out specific models, and even take a few test drives, you will eventually reach the point of making that final decision. Once everything is said and done, the time to actually buy the vehicle has come. This is the step that can be the most frustrating for many typical vehicle buyers. Unfortunately, this step isn’t as easy as signing on the dotted line. Unless you are buying the vehicle outright, there still a few obstacles in your way. Chief among them is the issue of financing. Finding a way to afford this vehicle can be a headache in its own right when you don’t know what you’re doing. Typically, this step involves going around to different banks and credit unions to explore your financing options. Particularly with auto loans, you will eventually be filling out several different applications for the specific vehicle that you want. This process takes time since each lending institution has to look up your credit history individually before they can approve you for the specific loan. If the car you’re interested in is bought before you get the loan, you are starting over from scratch. When you work with Carl Black, however, the process is quite different. We work with many of the same banks and credit unions that you would check out locally on your own. The difference is we can send in a single application you can fill out right from our dealership to every single loan provider we work with. This means you only have to fill out the paperwork once before you are done. After that, we take over so you can get different competitive offers to find the best terms and rates while getting the vehicle you want before it is snapped up from under you. More than that, our financial experts can answer any and all questions you may have about the auto loan process. They can also help you determine if an auto loan is right for you. Other options include leases and cash buys if you have the available funds. All of these options have their own advantages and disadvantages that are better explained in person by a dedicated financial expert focused on helping you get the best deal in the long run. Once everything is set up, the final task will be going through the final paperwork. At this point, our staff will be there to answer any questions you may have about the legal contract you are signing. In the end, your satisfaction with the arrangement is our top priority. 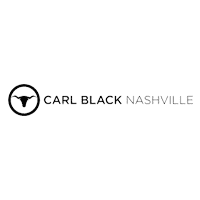 The Carl Black advantage doesn’t stop just when you drive off our lot with your new vehicle. In fact, you can return to us anytime you need another new vehicle or service on an existing one. We are here to make sure you have everything you need when it comes to the health of your primary transportation. That is why we have a fantastic service department to help you out with any kind of maintenance and repair needs you have in the future. All of our mechanics are qualified with years of experience. For Chevy owners, our mechanics know all the ins and outs to each and every model so they can quickly and accurately diagnose issues and get problem solved right away. Even if you’ve never bought a car from us before, we are still here to help you. We will take in any car, regardless of the age or make, and do what we can to get it up to working order in no time. We have access to many different supplies and parts, so repairs don’t take a long time, leaving you hanging without a means of transportation. If you have any interest in future upgrades for your vehicle, we can help there too. Trucks and SUVs, in particular, are our specialty if you want to include some off-roading and touring accessories like roof and hitch racks. 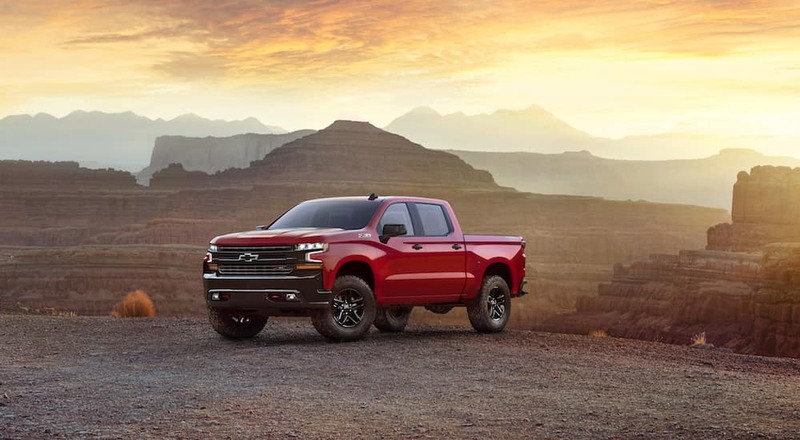 For the true off-roader, we have access to Chevy’s entire line of off-road enhancements like body armor, upgraded suspension and lift kits, fog lights, and more. There are a variety of reasons to start looking for a new car. Whether it’s time to upgrade an old one or it’s your first major purchase, beginning the car buying journey should be a simple step to take with the right help. That is why you should come to Carl Black for all of your automotive needs, particularly if you need a new or used vehicle. When you come to our lot, we will make you feel like the epic hero you should be at the center of your own car purchasing journey. Call us, email us, or come down to the dealership today to see how we can help you.